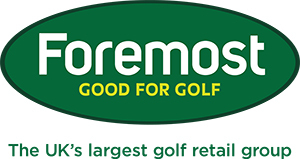 The Preston Golf Club Pro-Am sponsored by Carlsberg will take place on Friday, 14 July. 1pm shotgun start. Either enter a team or you can play in the PGC team with club professional, Andrew Greenbank? You can qualify to play in the PGC team by entering an optional qualifier running alongside the events below. When you sign in, we will give you the option join in. Our Captain, Chris Sumner had a blast over weekend. Starting on Friday evening with the black tie dinner where everyone enjoyed good food, good wine and an all round fantastic start to Captain's weekend. Saturday started early with the first competitors teeing off at 7.30am and Captain was present to see the first shot struck. Saturday evening was party time and Captain and his guests filled the Clubhouse for what has been described as a "top night" with some groovy moves on the dance floor! Gav Southern hitting it hard! Round 2 played on Sunday saw some players make a move up the leaderboard. Vaughan Kershaw sitting 12th after rd1 was playing well, Nigel Given was once again in the thick of things only to fall away at the end to gain 3rd place. Mike Hughes regained some form with a weekends best 65 nett and to post a Clubhouse score of 139 and eventually claiming 2nd place, leaving Vaughan Kershaw to make a par on the last hole which included his drive bouncing into play from the driving range netting and a 20ft putt which sat on the edge before falling in after what felt like an eternity! Congratulations to Captain Chris, to Vaughan the champion golfer of the year and all who took part. A wonderful weekend was had by all. President's weekend is up next so keep your eyes open for the Saturday party night and join in the celebrations! Congratulations to Sarah who won the Pro's Prize last week. A medal competition sponsored by myself which has been played for over 18 of my 20 years at PGC. This is the first time any golfer has won it back to back so well done on your great achievement. This Sunday is Lady Captain's day. I wish Sylvia all the very best for her day, I am looking forward to her little drinks party and I wish all competitors the very best of look. Report and photos to come next week. New clubs, new swing and new outfits, he may be peaking too early! Steve started the year by inflicting a crushing defeat on the Captain and I in the sides match, not many have ever done that! Guru Gary got a written warning for being part of that victory! They have made a huge change to Steve's swing and it really is great to see. I know how proud Gary is to be part of your story. He is like a catwalk model, looking the part whilst striding the fairways of Preston in his array of Oscar Jacobson apparel. A few weeks ago Steve collected his custom fitted Mizuno JPX 900 hot metal irons and has now dropped 3 shots off his handicap. This week my Cleveland RTX 3 wedges arrived. Fitted with KBS HI-REV shafts for added spin and custom fitted bounce angles, I can't wait to get them on the course. For me, having the correct wedges is so important for so many reasons. Meaningful Loft Gaps - this offers me consistent distance differentials between each wedge. Bounce Angles - My wedges have high bounce angles because I like to operate with strong shaft lean and a steep angle of attack. Without higher bounce, I would dig into the turf too much. Spin - So important to me! So why do so many golfers not use special wedges? Wedges that spin, stop quicker, add feel and control. My new Cleveland wedges are in the bag because I found they spin more than any of the others. 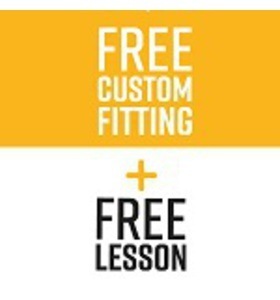 Book a wedge fitting now - get fitted for your wedges for FREE - also get a 1 hour FREE short game masterclass session. Let's give you a short game like Seve had! The team comprised of 6 juniors with 4 scores counting. We also took 3 reserves showing what a close group they are, with them all supporting each other around the course. James Nelson also won the lowest nett score with a 66. Jack Williams won the reserves tournament with a fantastic nett 64. New handicap??!! The team was - Harry Tierney, Sean Dobson, Jack Hughes, Amy Fletcher, Alex Fowler, James Nelson...backed up by Jack Williams, Sam Cotterill, James Fowler. Thanks as always to Chris & Guy for their organisation of the junior section and to Lookers VW and Bespoke Healthcare for helping us look like a quality team as well. 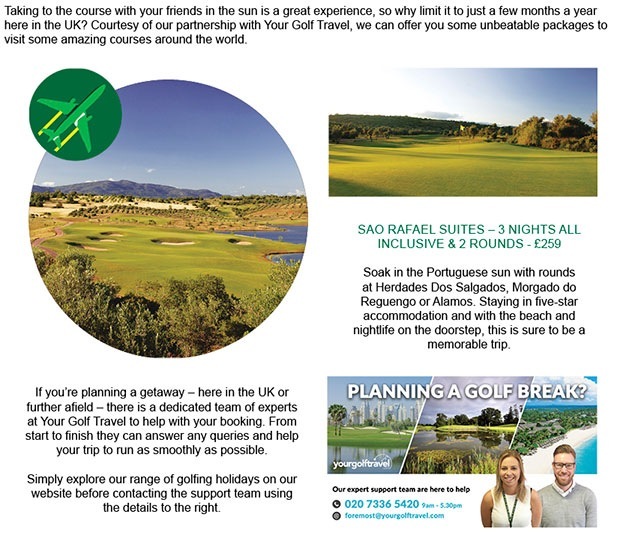 The junior youth club is very popular with the youngsters and we invite any members who have children that may want to try golf, to bring them down on a Friday evening. Meet at the Academy 6.30pm for lots of golfing fun and games. Selling very quickly - Don't miss these bargains! Feel free to come and chat about finding the best product for you. Shirt Amnesty - £10 trade in for your old shirts! This offer has been going down really well with our members as they bring in their old tops and upgrade to some new polos for 2017.
Who in their right mind would give you £10 for that old, faded, curly collared polo shirt sat in the bottom of your wardrobe? 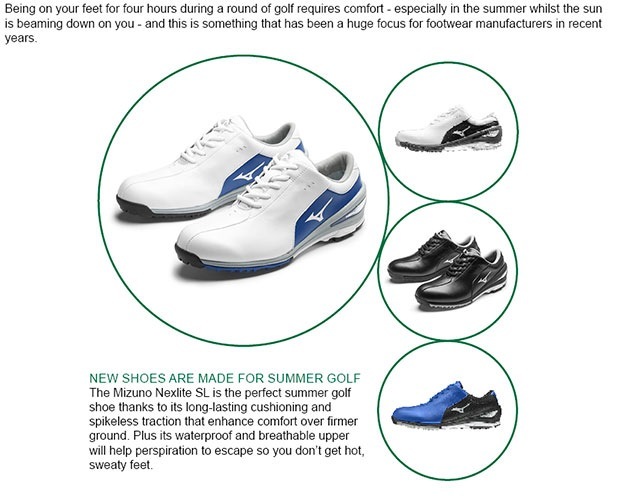 Galvin Green, UnderArmour, adidas, Oscar Jacobson & FootJoy. Get yours before anyone else! 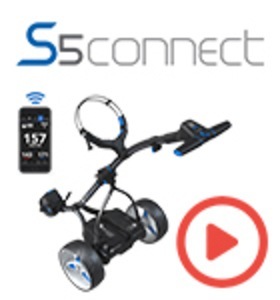 Landing in-store this week will be the highly impressive S5 CONNECT electric trolley from Motocaddy - a full week ahead of any high street or online retailers. That means you can be strolling down the fairways before most people have even seen the trolley; and mark our words - it is really impressive.